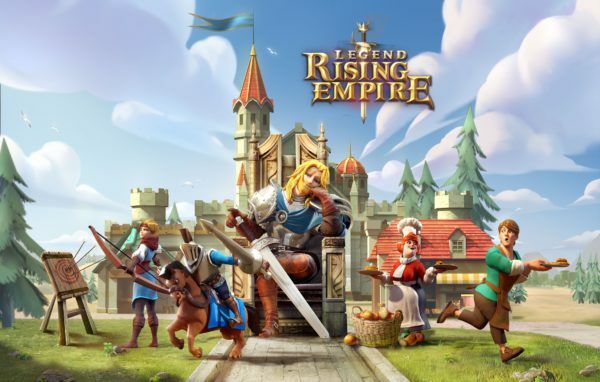 GUANGZHOU, China – Oct. 24, 2018 – NetEase, Inc. (NASDAQ: NTES) has today announced that real-time strategy game, Legend: Rising Empire, is now available as a free download on Google Play and launching on the Apple App Store on October 26th. Take the helm of a small medieval village and through construction and conquest build it into a thriving empire capable of seizing control of the entire world of Favilla. The latest offering from NetEase Games, the folks behind Identity V and Rules of Survival, Legend: Rising Empire lets you do just that and much, much more. GUANGZHOU, China – Oct. 18, 2018 – NetEase, Inc. (NASDAQ: NTES) has today announced the beta of its upcoming sci-fi battle royale mobile game, Cyber Hunter. Starting October 19 through October 26, Android players in Argentina, Brazil, Japan, most of Europe, North America, and Southeast Asia can enter the beta and test their will to win in this high-tech, futuristic battleground. Unique to the battle royale genre, Cyber Hunter includes a massive 6-by-6 square kilometer map, Quantum Cube Energy for building materials and combat upgrades, scalable vertical surfaces that reach the skies, and vehicular combat unlike any other battle royale experience on mobile.